Mark your calendars for upcoming events in our affiliate communities. We hope you have a chance to stop by and meet the people who are making a difference. Mark your calendars for this year’s Giving Tuesday campaign. Give back to your favorite charity November 28, 2017. For more information, visit www.givenownewton.org. 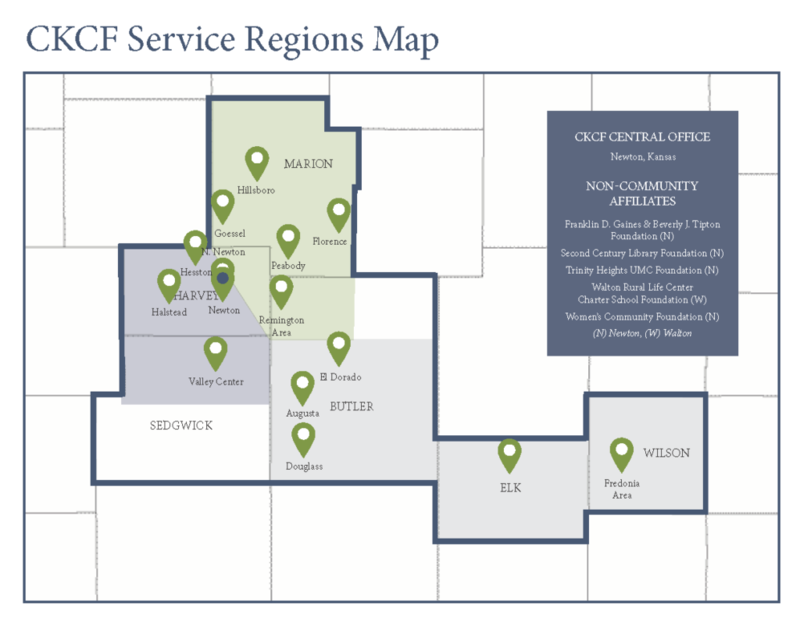 Central Kansas Community Foundation will play host to its 19 affiliates August 24 at the Kansas Learning Center for Health in Halstead, Kansas. For more information and to register, click the link below. Central Kansas Community Foundation and regional affiliate foundations will honor the 2017 scholarship recipients at the Regional Scholarship Awards Ceremony, Friday, July 21, 21017 from 5:30 – 8:00 PM at the Our Lady of Guadalupe Catholic Church in Newton. Please plan to join us! Click the link below for more information. For more information, please contact Mary K Bean, HCF Director at marykay@givehalstead.org or 316-680-6271; or Brenda Sooter, CKCF Program Officer – Grants, at Brendasooter@centralkansascf.org or 316-283-5474. Central Kansas Community Foundation and its regional affiliate partners have opened their scholarship cycles. Please visit the following page fore more information on what scholarships are available and how you can apply.